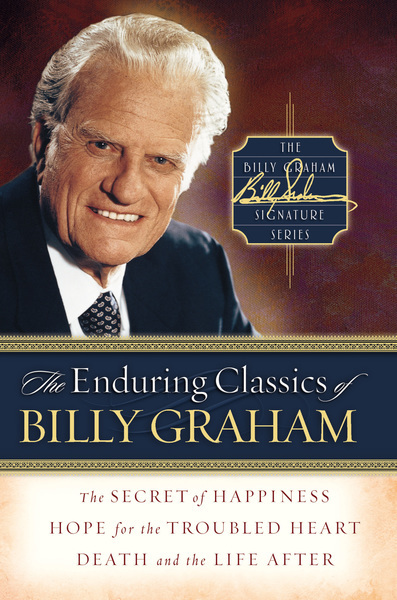 In this first volume of The Billy Graham Signature Series, three of the evangelist's most authoritative classics are bound together in a stunning hardcover edition available at an affordable price. The Secret of Happiness teaches that happiness is a by-product, a bonus that comes when we seek what is really important. Death and the Life After, a classic that liberates readers from fear and denial on the topic of death and helps them find peace, assurance, and ultimately triumph . In Hope for the Troubled Heart Dr. Graham teaches about God's unfailing love as the key to hope in the midst of difficult circumstances.